Arsenal will this weekend have a chance to go into the third position on the Premier league table and their lineup to face Everton has been released. The gunners will take on Everton in a few minutes from now and we have received the lineup of the gunners. It’s surprising how Unai Emery has decided to bench Ramsey and Pierre-Emerick Aubameyang in such an important match. Mohamed Elneny and Matteo Guendouzi will be in charge of protecting the Arsenal defence and as well as linking up with the attack of the gunners. 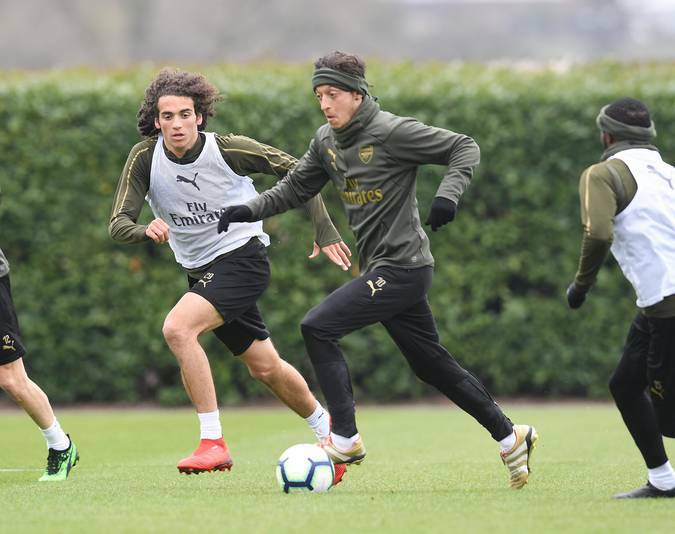 It will be interesting to see how that works out because Matteo Guendouzi is physically weak and Mohamed Elneny hasn’t been getting enough game time in the last few months. Pierre-Emerick Aubameyang once again starts on the bench but we however don’t know if this is a tactical decision or Unai Emery is just keeping him fresh for the UEFA Europa League match vs Napoli on Thursday next week. Lacazette will be leading the line and the Arsenal fans will be hoping that he does score more goals today.